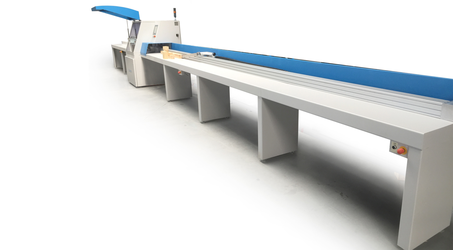 The Crossline 500 automatic cross cut saw is designed to cut material to length for subsequent manufacturing. The Crossline 650 saw equipped with a turnable table for making angled cuts. The Crossline 650 G automatic crosscut saw is specifically designed for the preparation of material used in the framing industry.